My name is Tommy Crudgington a.k.a. Crudgey, The Crudge Master Flash or The CMF for short. I’ve been a hard working London black cab driver a long time. In fact most cabbies will know me as “Cabbie Number 5” as you have to display your license number in the back window of your cab and they don’t see one issued that long ago very often. As you’d expect, being a cabbie I love a chat. And when my mouth isn’t moving for the purposes of speaking it will probably be eating. Despite having always loved watching and taking part in sport I’ve always struggled with my Derby (if you’re confused google cockney rhyming for belly.) That’s probably because I’ve always loved a Ruby (again look it up) or KFC more. That was until I discovered triathlon! In the last few years with the help of my training chums at my local club The Crystal Palace Triathletes I’ve completed 2 Ironman races as well as several shorter distance ones. 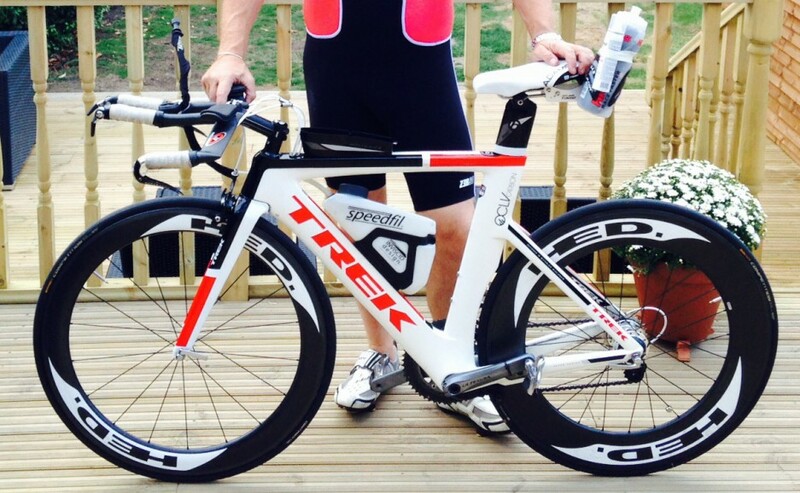 I’ve become obsessed with; watts, garmins, tri bikes, negative splits, nutrition plans the lot. I’ve lost 3 stone in the process and unfortunately I’ve put 2 back on. But that’s the point of this blog. Hopefully I’ll be entertaining you with the trials and tribulations of an amateur triathlete. I certainly talk a good game. I try my best fit in a heavy training schedule around a busy family life and heavy work load. I’m always conscious of the fact I don’t want my lovely long suffering wife Vanessa, to become a Triathlon Window. Though I’m also currently saving up to help pay towards my daughter’s wedding, which takes a lot of cab journies let me tell you. So there should be lots of real life scenarios and dilemmas that no doubt you’ll recognise yourself.